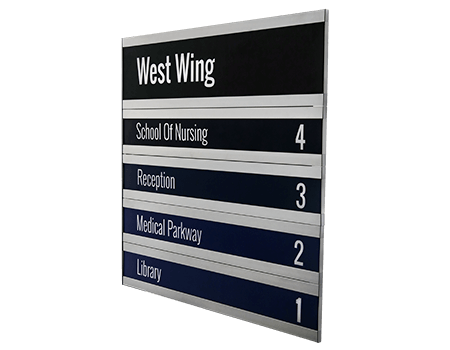 Directory signs are crucial for every kind of building – from commercial complexes and hotels to governmental offices, hospitals and more. These signs enable visitors to find their way throughout the building, whether they need reception, the restrooms, or even the elevator banks. Directory signs must be flexible, as their content will be ever-changing, which makes choosing the right kind very important. Metal directory signs are an option; but they are expensive, and an enormous headache to update. If a new tenant comes in, a metal sign will need to be replaced. And what if the tenant has a long name, or if their company has a colored logo? Vista’s modular system, on the other hand, is based on s panels – a special profile frame that turns the updating of any sign details into child’s play. We offer a wide range of directory signs, in various sizes and with multiple frames and unlimited sizes! Choose from one of the following Vista product families: Vista, Sharp, Square, Nova and Light. This client approached Compass Signs LLC, of Freehold, NJ, to replace the signage in their plaza. The old signage looked very outdated – it was small, hard to see and difficult to update as needed. The client requested new and clean-looking signs that could be easily updated in the future. There were a total of three interior directories and one exterior directory. Vista System provided a very modern and clean-looking solution that could be easily read. The project flowed smoothly from beginning to end, and all deadlines were met without issues or complications. 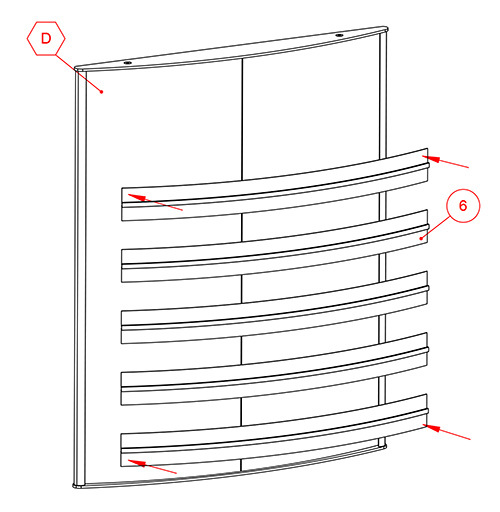 Vista’s special omega-shaped modular signage enables fast and easy assembly and installation. In fact, any fairly handy person will be able to do it on their own. As well, the division of parts can be created according to the customer’s request, enabling you to change only part of the content at a time, without the necessity to replace all of the content each time. 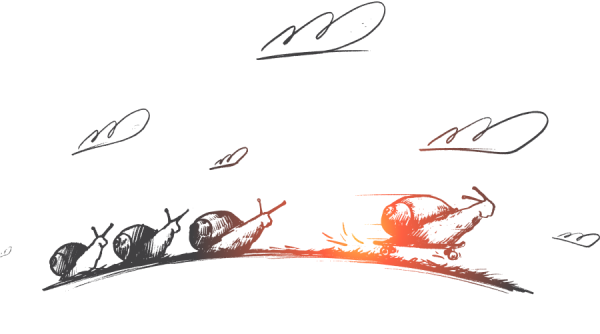 Vista provides ample training videos, drawings and instructions to help in the process. The system can be assembled and installed without special tools. Even the separation strips that are placed between the sign’s segments are quickly and easily connected. 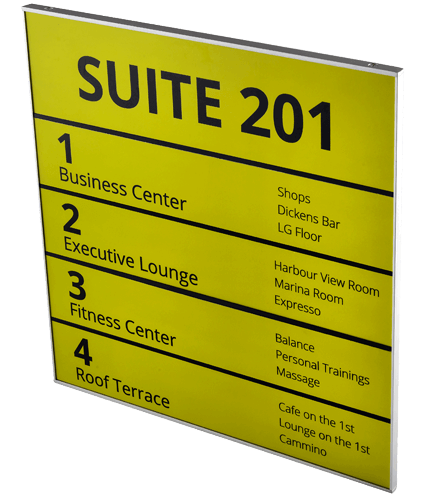 Looking for Directory Signs for your next project?